I designed this kit for my daughter's 1st birthday party and I'd like to share it with you. - 1 printable cupcake topper. - 1 printable cupcake wrapper. - 1 printable digital paper. 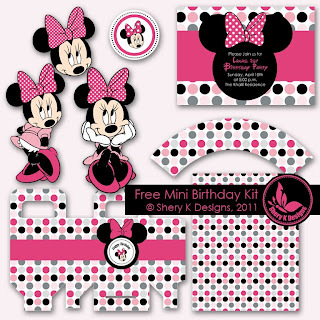 - 3 printable Minnie clip arts. - 1 SVG cupcake topper. you make the cutest darned things!!! I Love Disney and I adore Minnie Mouse so this is my lucky day! Very cute! Wish I had this about 5 years ago when I did a Minnie party. *sigh* At least I can use it for the scrapbook pages! Thanks!!!! How sweet of you! I have a granddaughter who just turned one. Her mommy is a Tinkerbell freak, but I am partial to Minnie! This is so sweet.Thank you for sharing. Thanks so much, planning a baby girl shower and this is really cute and I think the mom to be would agree. Thanks for this fun kit. I just used parts for my daughters 1st Birthday. I posted a couple pictures on my family blog http://joekaylyn-littlefamily.blogspot.com/2011/06/whitleys-1st-birthday-day-playing-with.html. Thanks again. how can anyone see the files, they are cute though. Thanks so much for share!!! Thank you thank you for this kit! It was a lifesaver in last minute preparation for my daughters 1st birthday. Thank you it was really nice of you to give it free the hello kitty party printable. yay! Thank u so much! My daughter loves minnie! yay! thank you so much! My daughter loves minnie! Thank you so much-- exactly what I needed for my daughter's birthday! if you got a message from the zip folder while you're extracting it that the file is corrupted that means that the file didn't download correctly, make sure you have enough space for downloading the file, try to delete the temporary internet files or change your browser and download the files again. what is the font on the invite that says "Please Join Us for"? So adorable. thanks for sharing! it's century Gothic, and it's in your system fonts. How do I type into the invite my daughter's party info? Thanks for sharing! Thank you very much for sharing. I will be using this for my youngest's 2nd birthday. Again, thank you for sharing, it really made my day. thank you sooo much~ I have been looking everywhere for a cute invite that I don't have to pay for! This is definitely it!! so cute! Thank you for sharing! you can customize your invitation by any photo or image editor or by word office. After searching for 1-2 hours I found this beautiful link, thank you so much. My daughter is going to be really happy as Minnie Mouse is her favorite toy! thank you so much ! my little girl will be so happy for her 2nd birthday ! thanks for sharing. how is the bag templet suppose to be used or what paper should it be printed on . can i use it as a candy bag or what is the purpose for it? Bunches of Thank Yous!!!! This was so helpful!!! thank u, my daughter love it! Thank you so much for sharing, its my little ones first birthday. No stopping this mommy for making it the awesomest bday ever!! I do not have a cutting machine. What is the best machine to purchase to use SVG files? So excited, I finally figured out how to install the fonts! 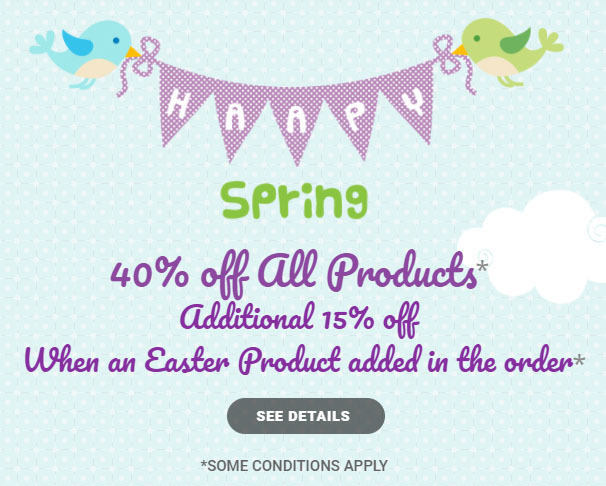 OMG thanks for Sharing-my daughter turns 2 in may and this is what we are doing!!!!!! this is lovely. thank you so much for sharing.. i'm gona use most of it for my girl's one year old party!